We all try to save money as much as we can whilst spending as little as possible. However, the vast majority of us agree that if you are a living, breathing, human being of the 21st century, you’re going to have to spend some money in order to live any sort of comfortable life. Water, heating, electricity, food, and a roof over your head are all basic necessities we must all pay for. But, what if you could get these things for free? In fact, what if you could not only get these basics for free, but also enjoy many other luxuries in life totally free of charge? Sound impossible? Well, Deepak Tailor would disagree. 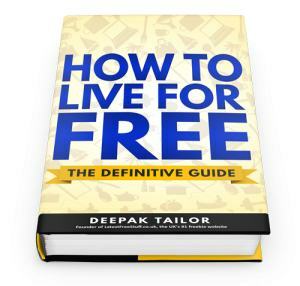 In his new book, How to Live for Free Tailor will show how he has managed live a free life and how you can also live for free too. Deepak Tailor is the creator of the hugely popular website LatestFreeStuff.co.uk and the site has since gone on to become the UK’s biggest freebie site. Tailor has travelled the world and explored many different ways of living and taking advantage of life. In this book you will find everything Tailor has discovered about free living and you will also how to live free yourself. This book doesn’t just cover how to get the occasional free item, but also shows you how to get free luxury items you’d usually have to pay top dollar for, from free holidays, cinema trips, and shoes. How to Live for Free book is accessible, easy to read and doesn’t require you to have a degree in economics, be a smooth-talker, or a criminal to acquire these free things. All you need is a can-do attitude and the motivation to live free. How to Live for Free is split into two parts and each part is made up of different areas of life. 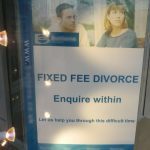 Part one deals with essential living requirements such as food, accommodation, and furniture, whilst part two covers items considered to be more luxurious such as travel, gadgets, television, clothes, fitness, and even how to get life changing courses, such as learning a new language, all for free. Not only does How to Live for Free offer you thousands of excellent tips, but it is also written in a very approachable style that is amusing, interesting, and informative. The author does not expect that everyone who reads the book necessarily wants to live as free as he did but of course the option is always there. This book is not only a great guide for those who do want to live utterly free but is also a great resource for readers who want to spend less. There are countless nuggets of information that will allow you to get more for less, whether you want to get free food or spend less on your holiday. 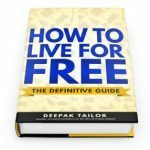 How to Live for Free: The Definitive Guide is a must for anyone who wants to reduce their cost of living or of course for any of you who really wants to have a go at living a free life. The book is available to download on your e-reader!